#125 - 7 PROVEN Ways To Build Your Business With Facebook Advertising - Starting Today! Proven ways to find your ideal buyer without spending a penny – so you’ll never have to waste money buying lists! 1. “My audience isn’t on Facebook.” They are. You’ll see how to find them. 2. “Facebook advertising is expensive. I can’t afford it.” It isn’t and you can. You’ll se how. 3. “I don’t need to advertise because everyone sees my posts.” No, they don’t. You’ll understand how Facebook decides who sees what – and when. And how you can make sure your prospects do see your posts. 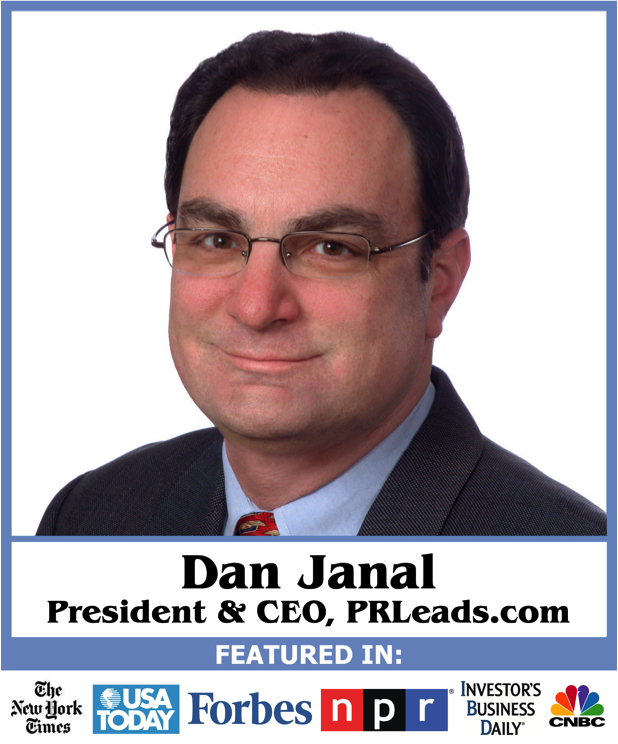 Dan Janal is founder and CEO of PR LEADS, the fastest, easiest and most inexpensive way to get publicity for authors, experts, speakers, and other subject matter experts. Dan helped create the reporter-to-expert connection more than 15 years ago and has enabled PR Leads to be a reputable source of experts for top media brands. Dan's newest venture is helping speakers, authors, consultants, coaches and businesses of all sizes achieve their marketing objectives with his Facebook advertising agency.